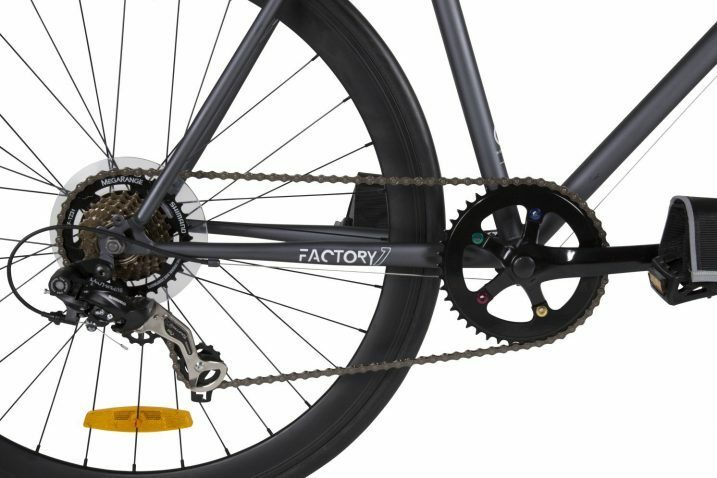 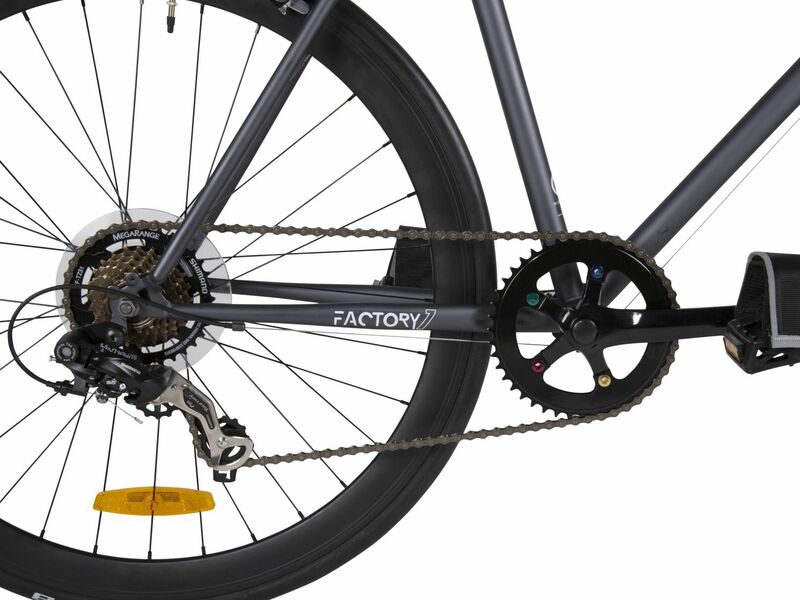 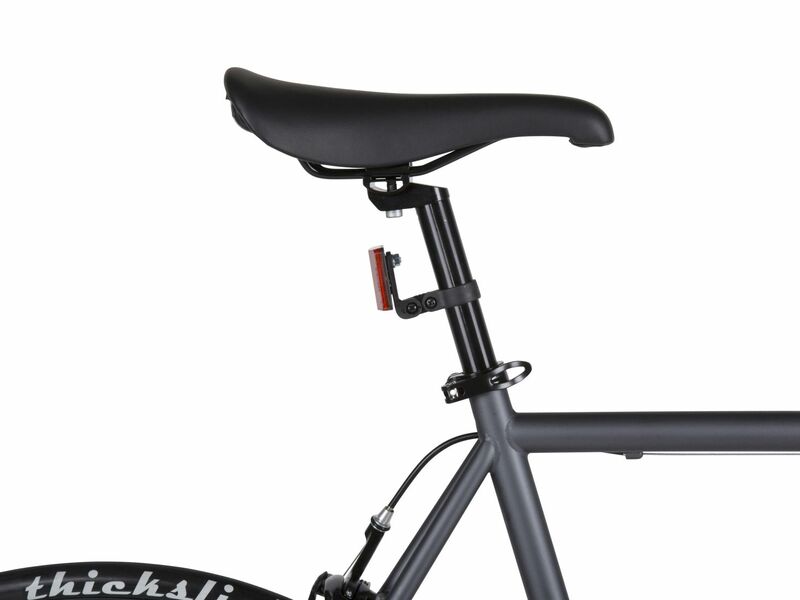 Factory7 - FlatBar Roadbike. 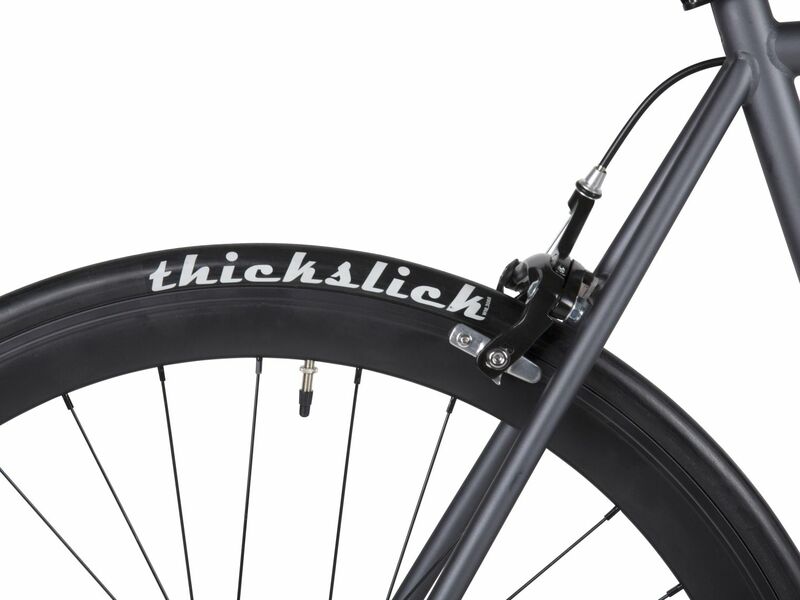 Fixie Style. 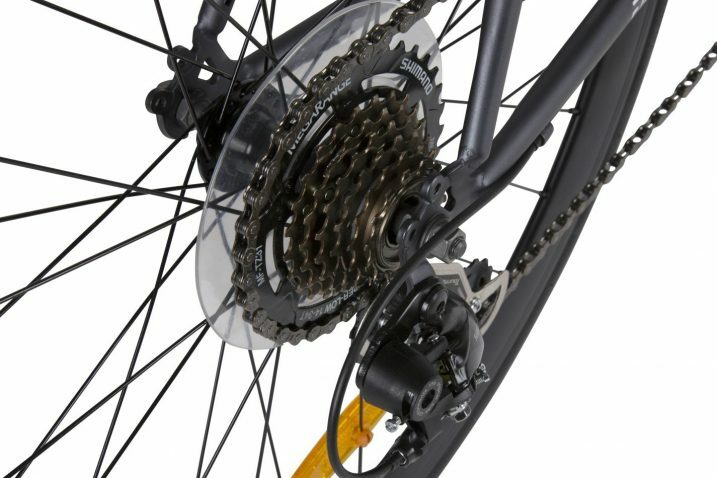 7 Speed. 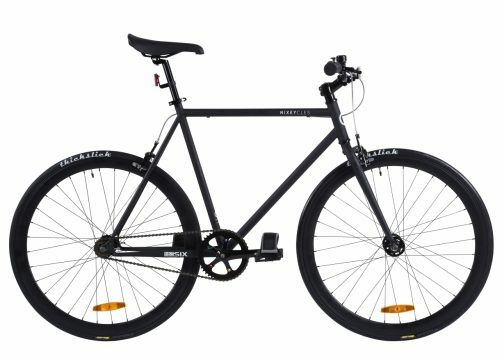 Free Shipping*. 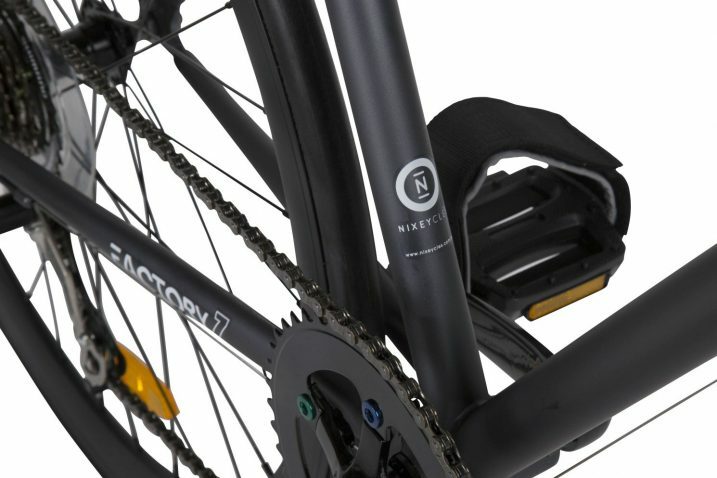 We have evolved the next Factory series, the Factory7 to meet the demands of Australian riders. 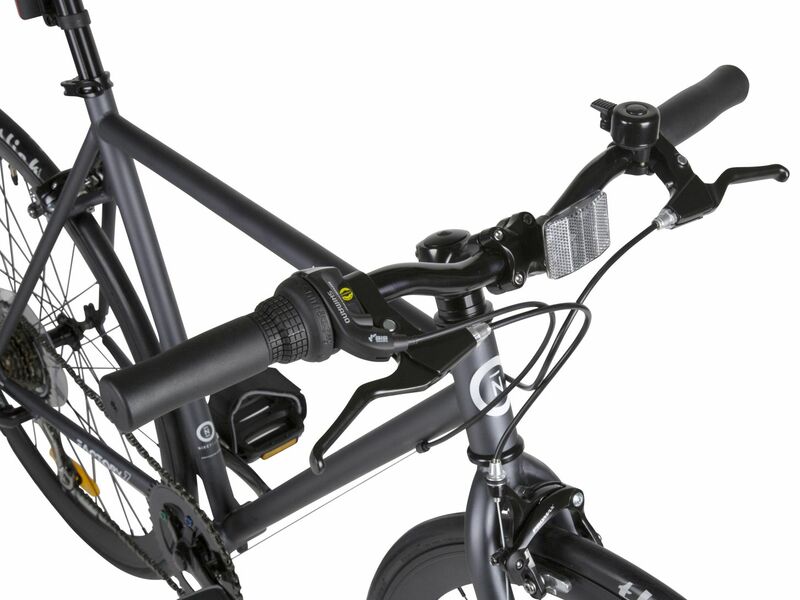 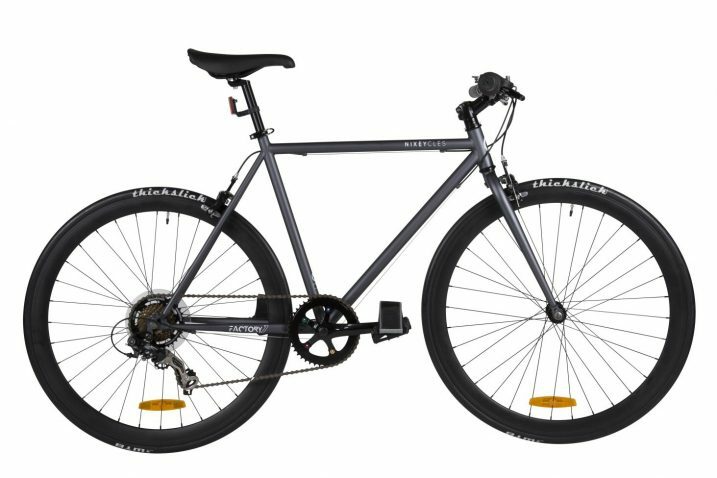 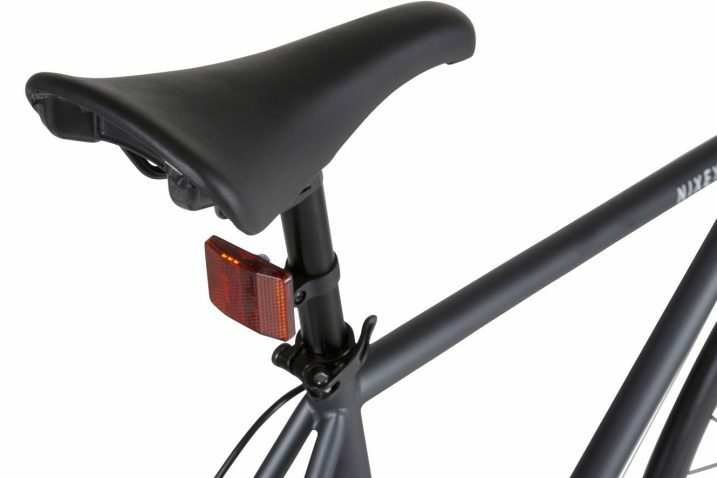 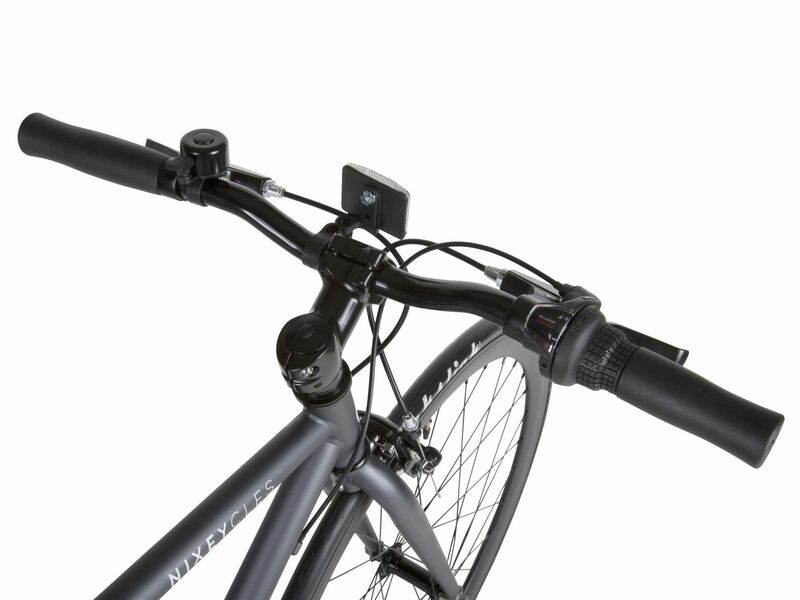 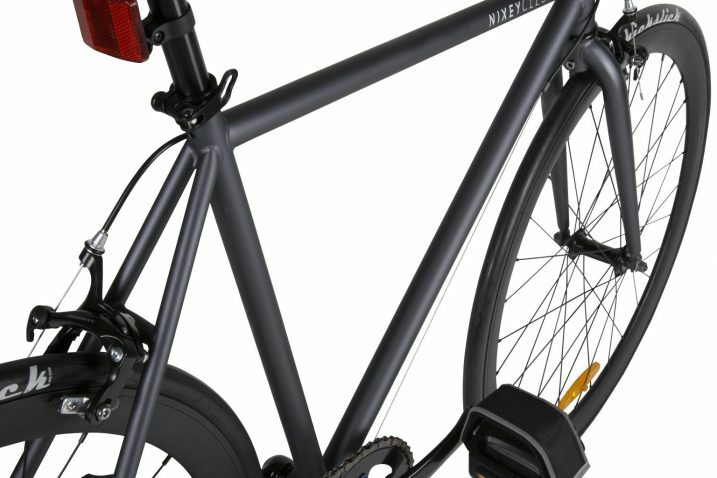 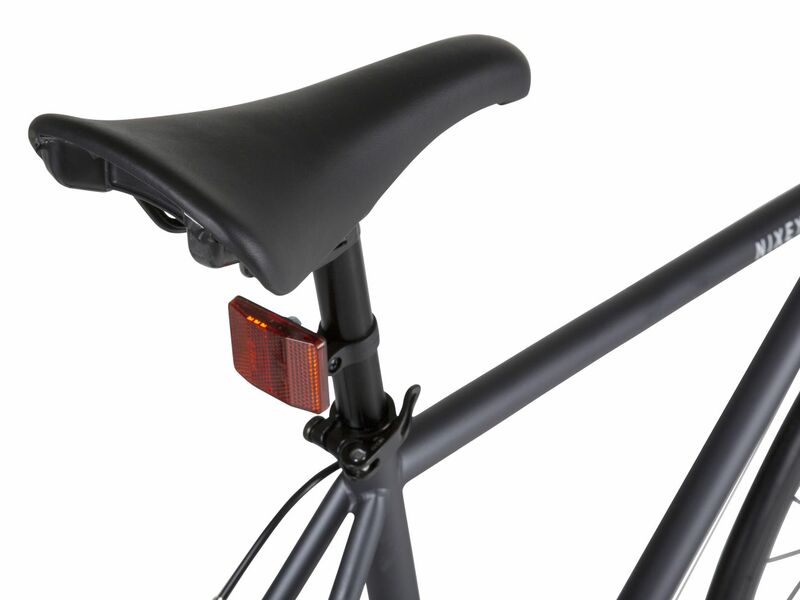 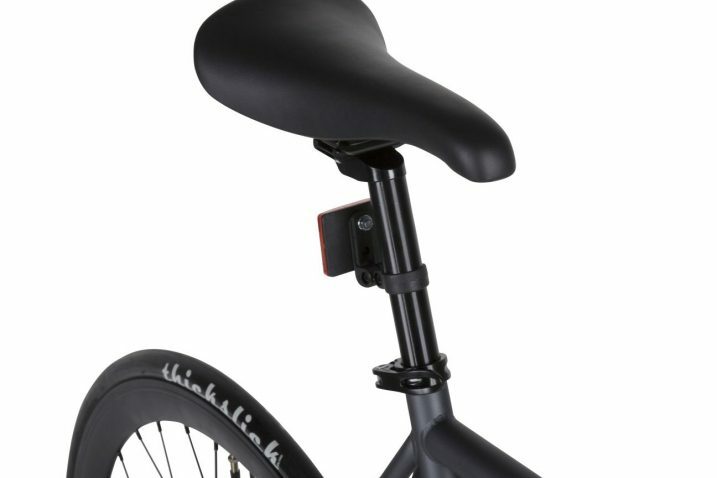 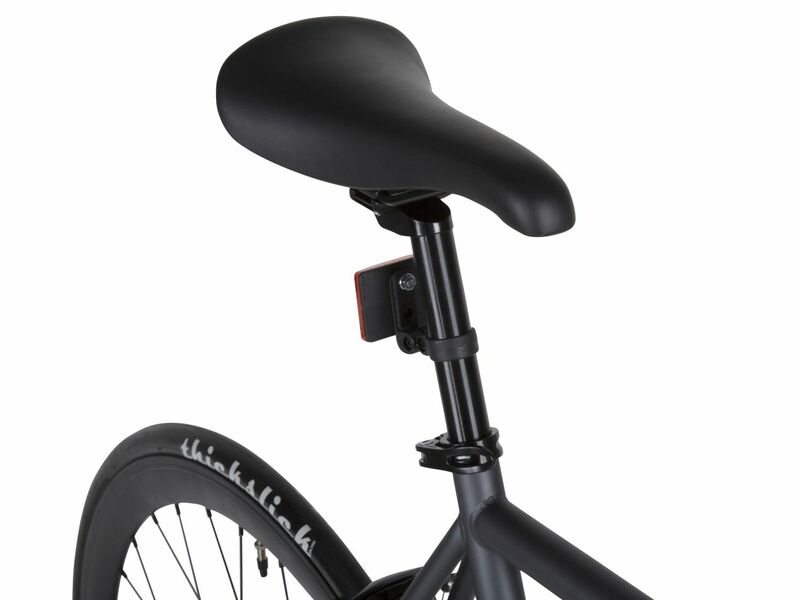 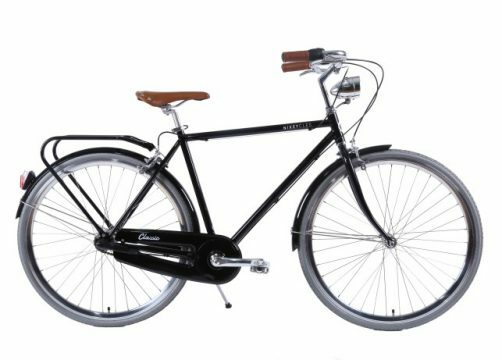 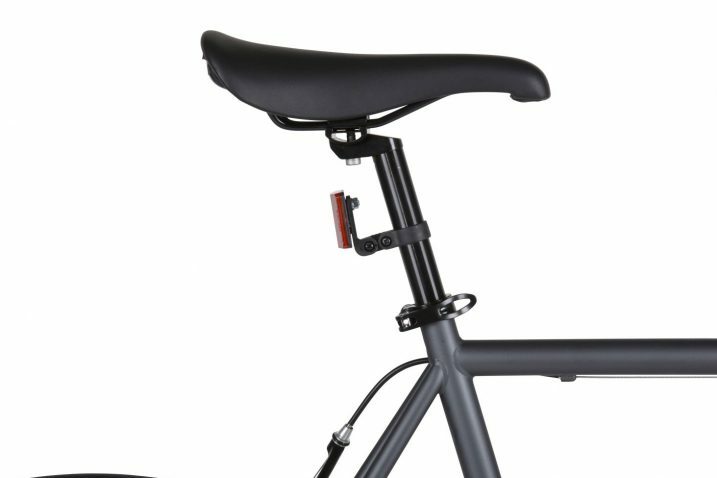 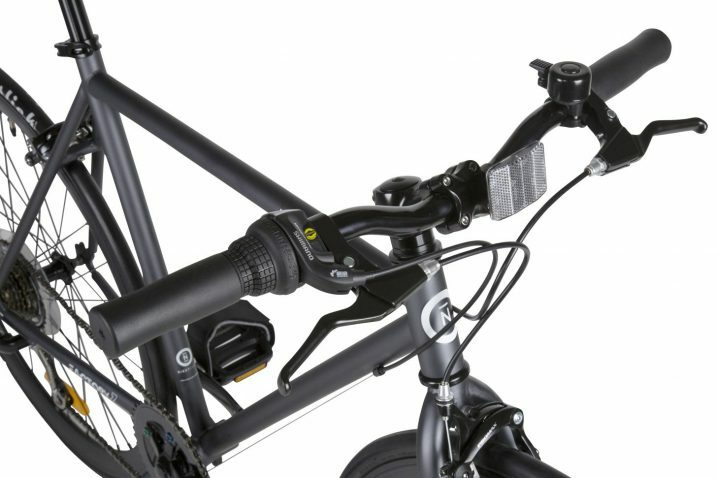 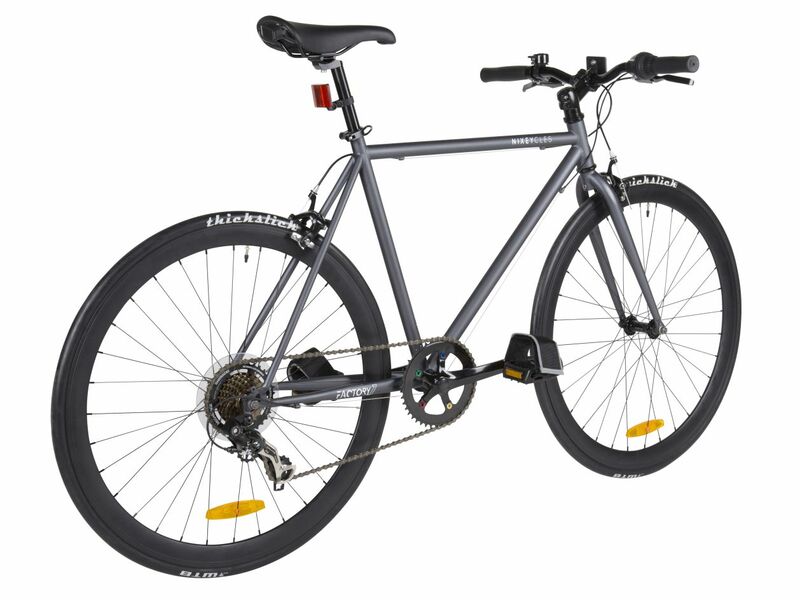 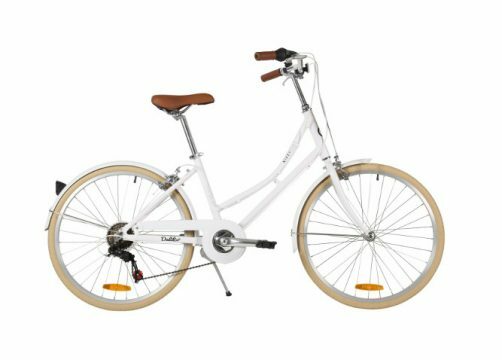 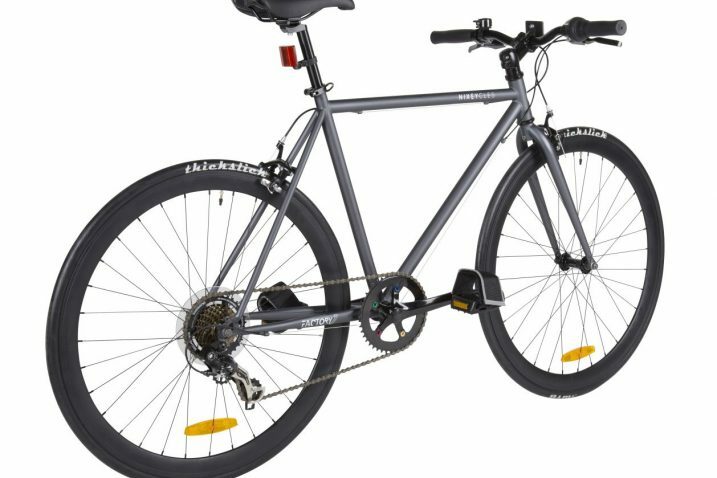 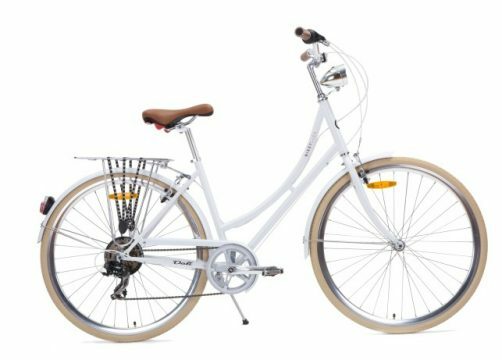 The result is a hybrid flat bar road bike commuter which incorporates both style and practicality. 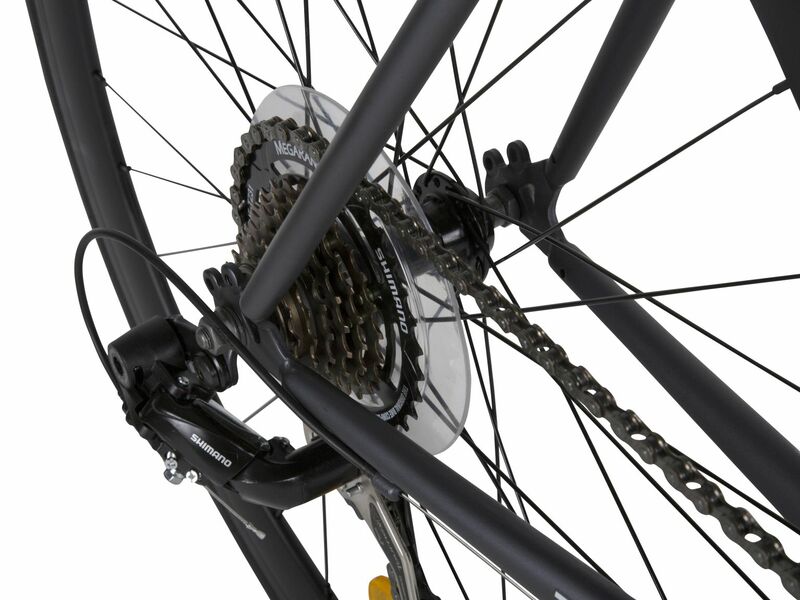 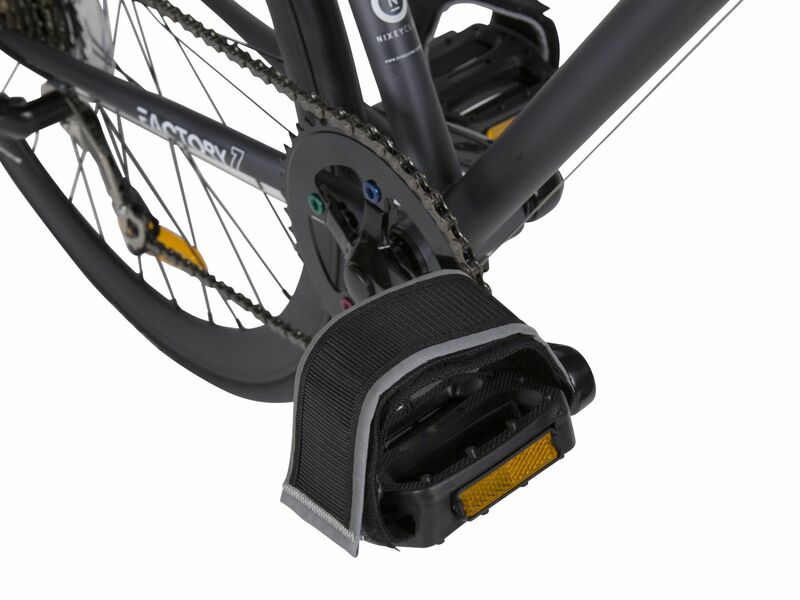 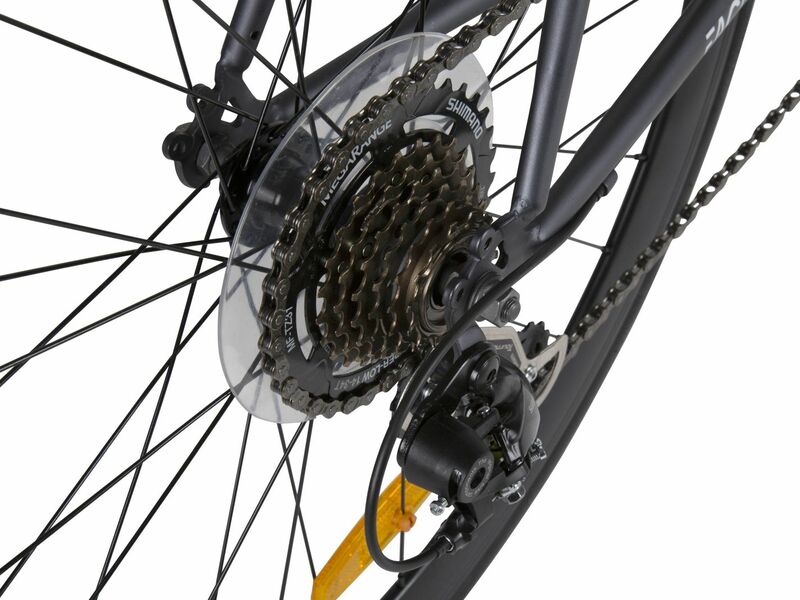 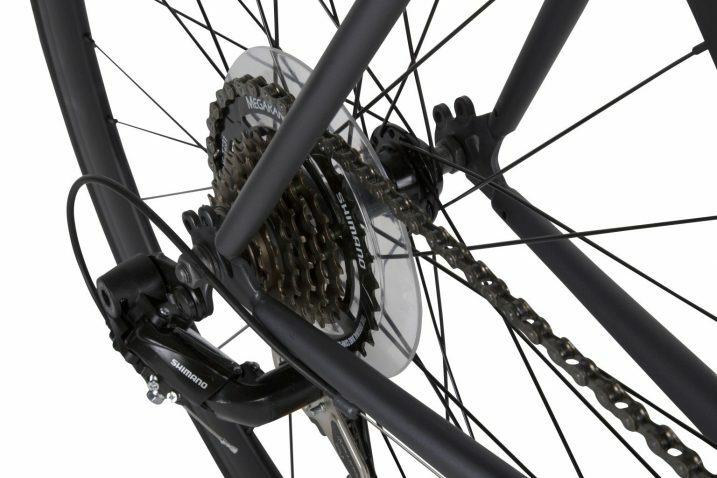 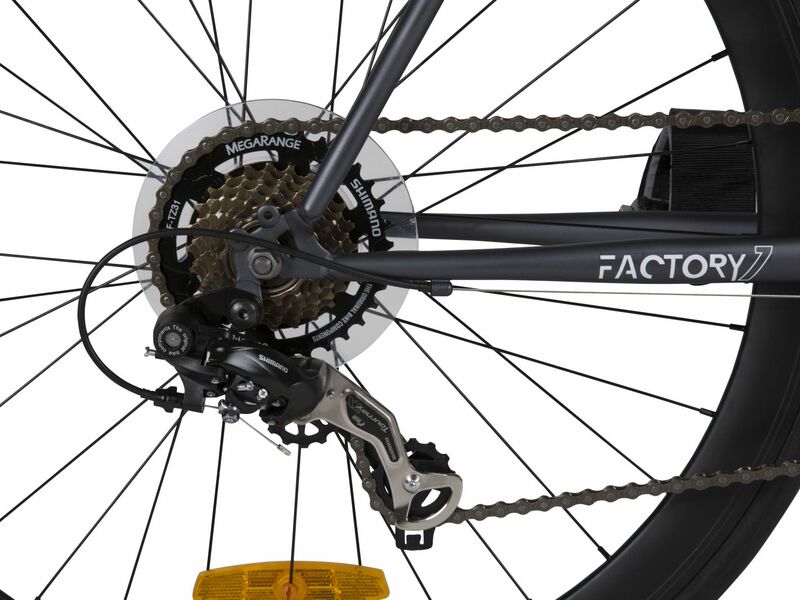 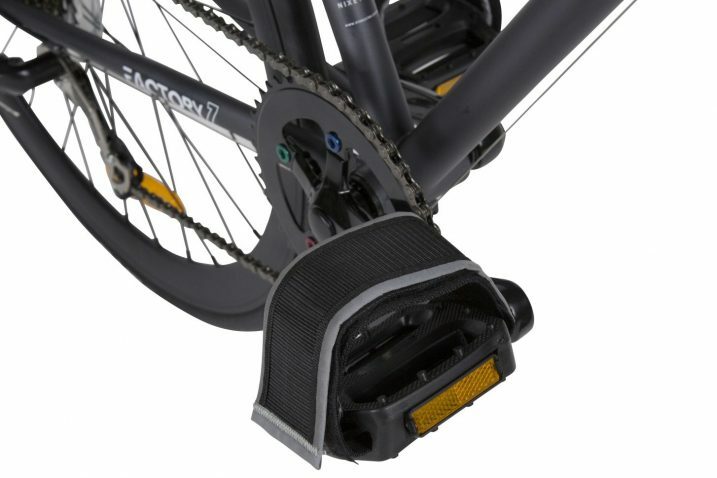 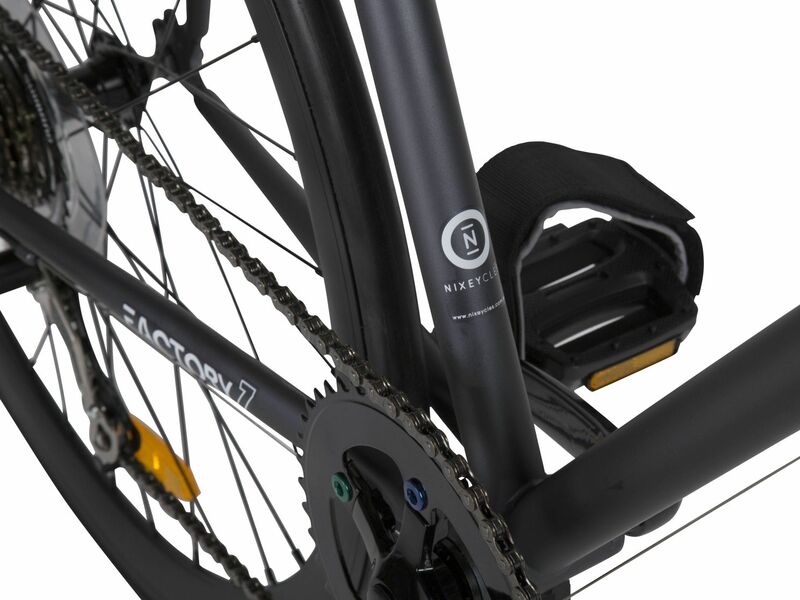 The Factory7 is fitted with the legendary Shimano 7 Speed MegaRange gears, which makes climbing hills a piece of cake. 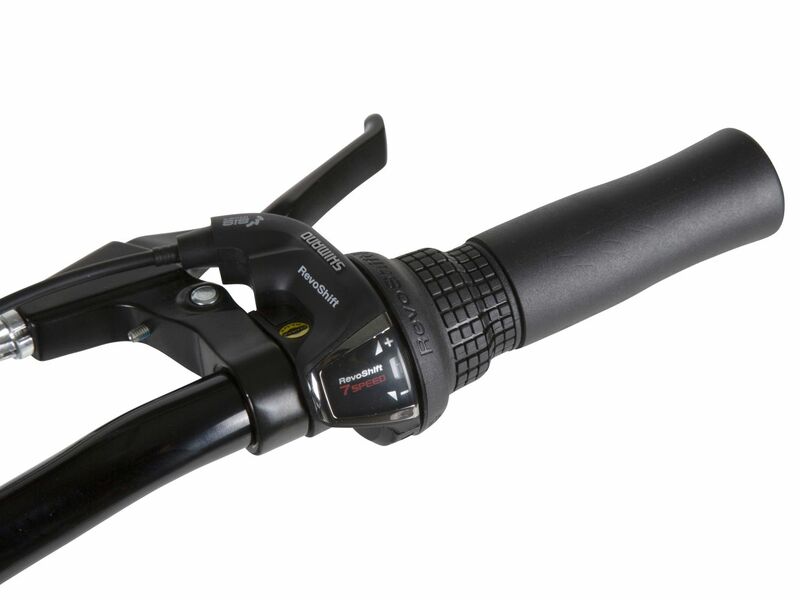 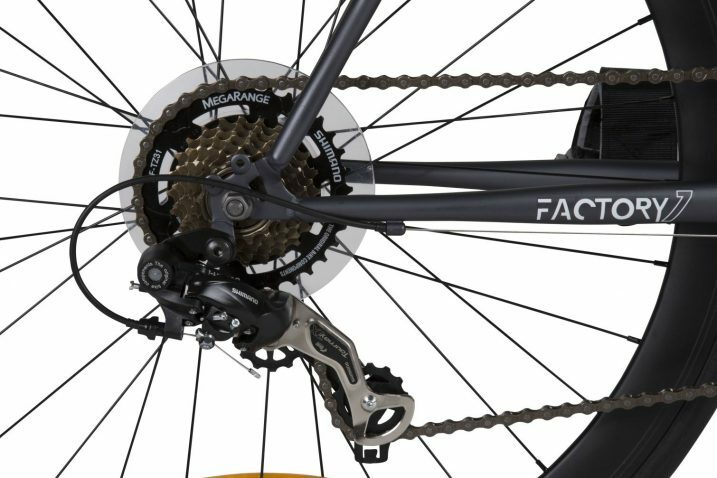 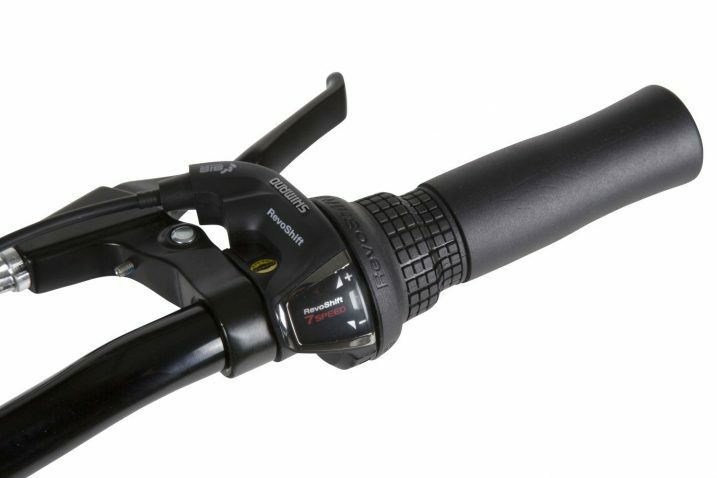 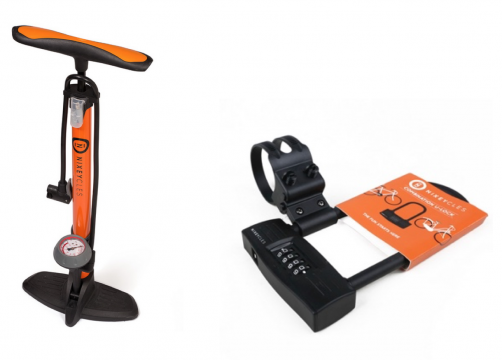 Other branded componentry includes ProMax dual calliper brakes, NECO headset and sealed bottom bracket, KMC chain, and ThickSlick tyres. 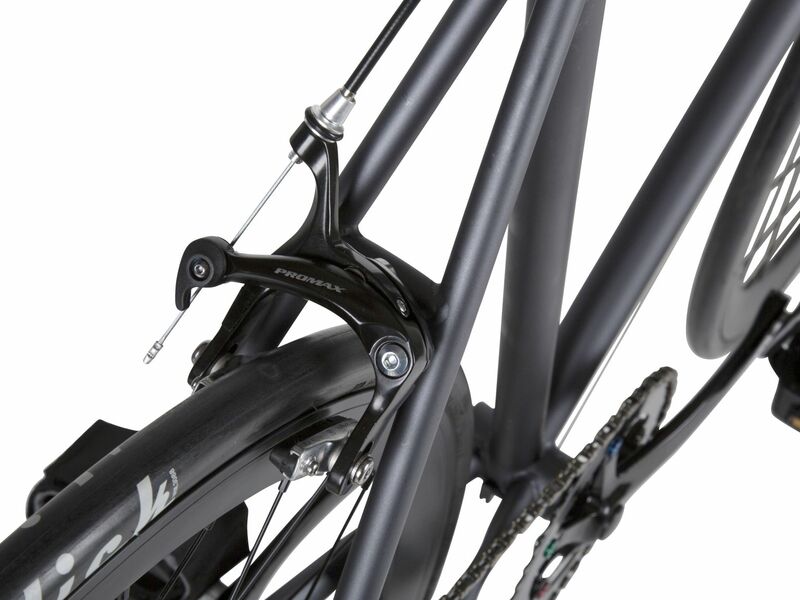 We also offer 12 months warranty on our proprietary frames. 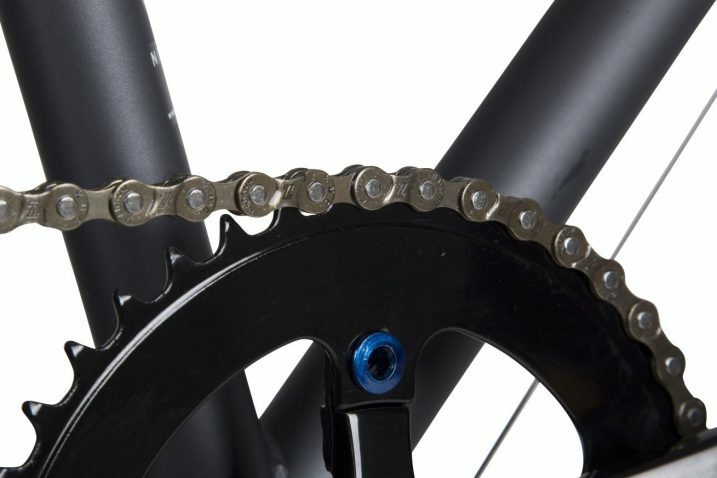 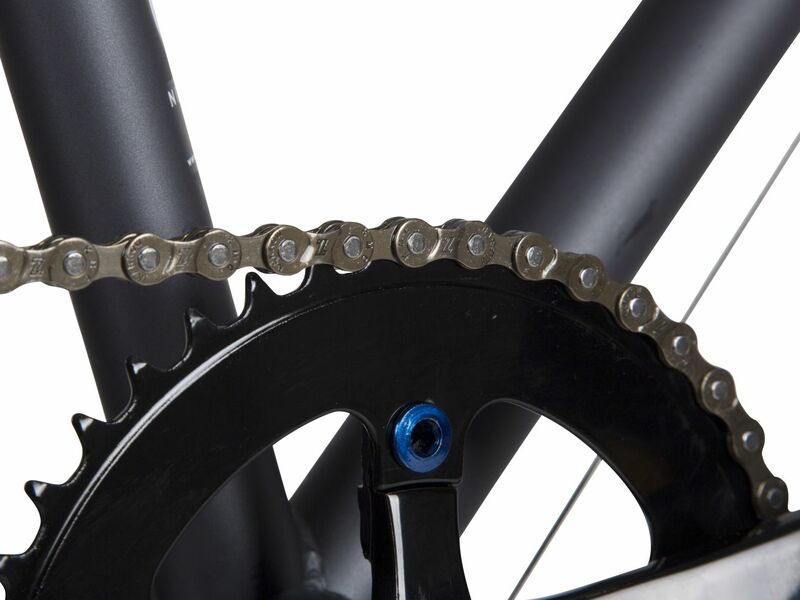 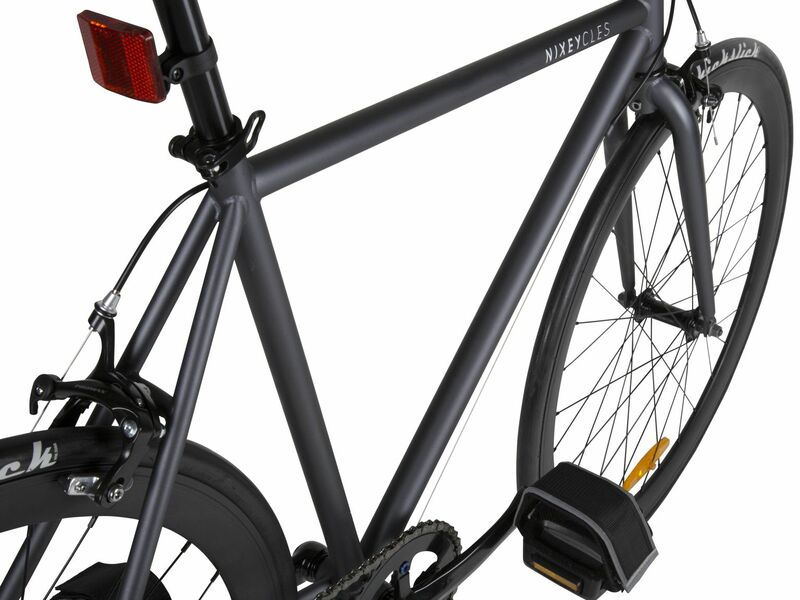 The Factory7 frame comes in a matt charcoal colour. 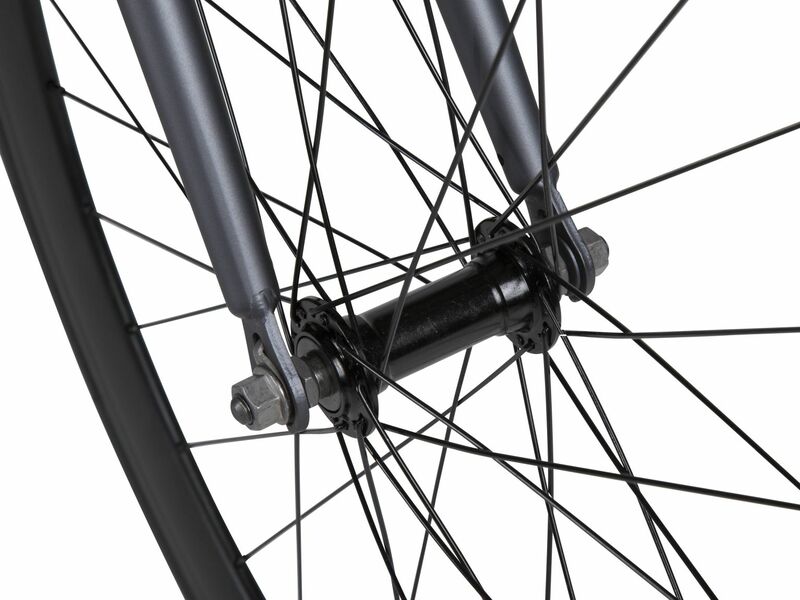 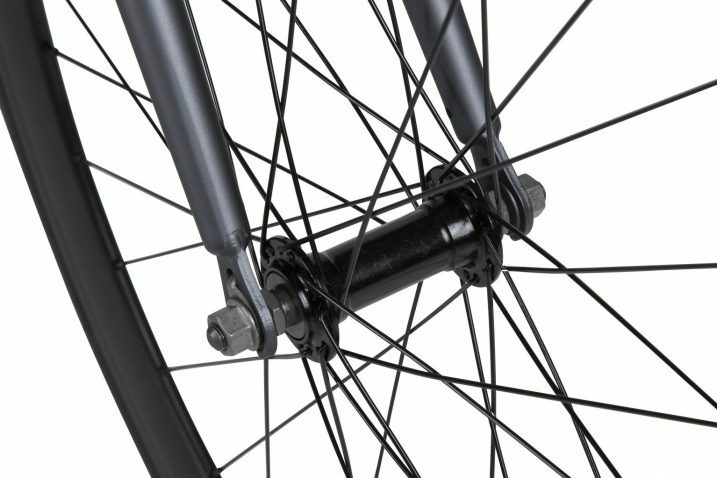 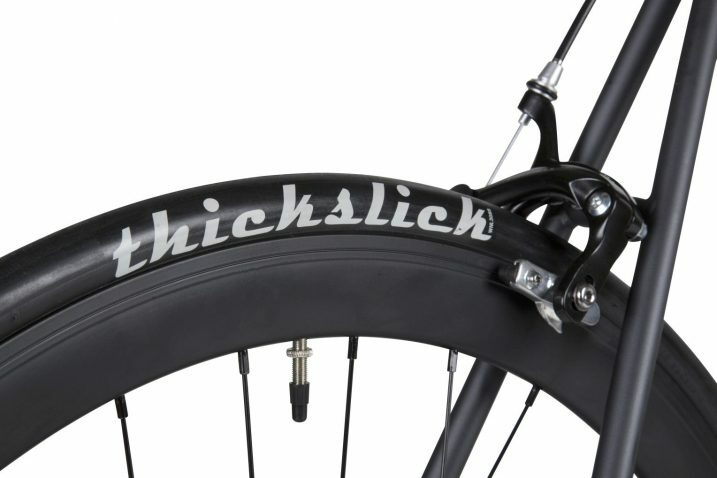 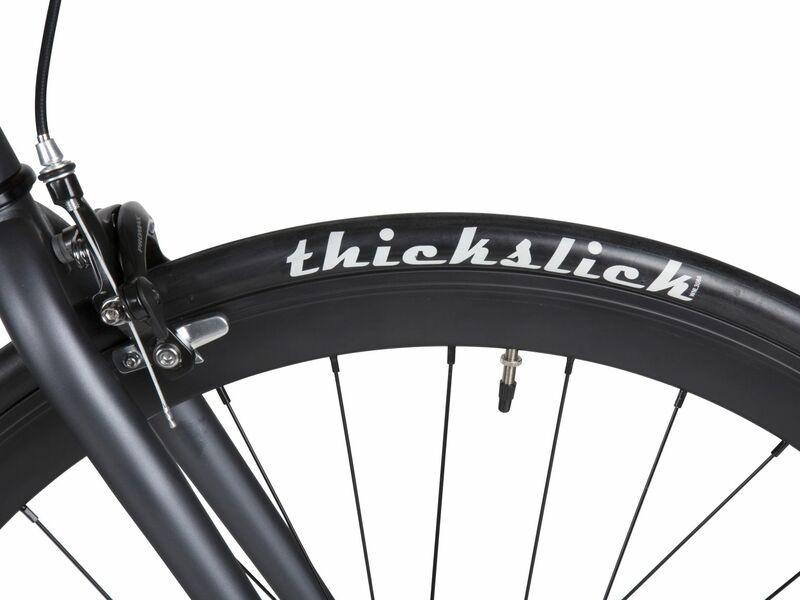 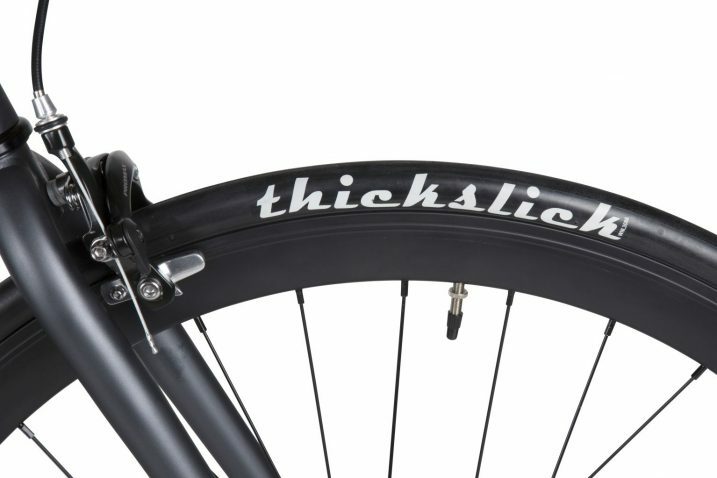 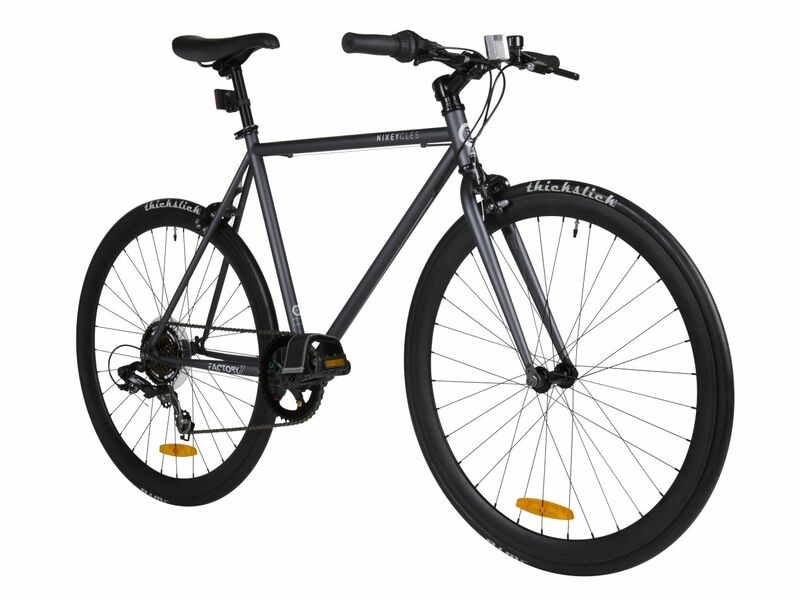 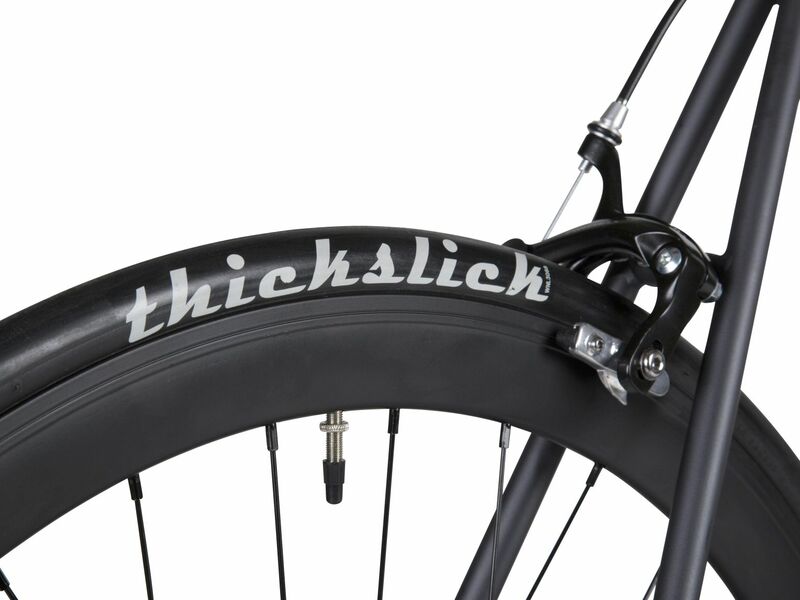 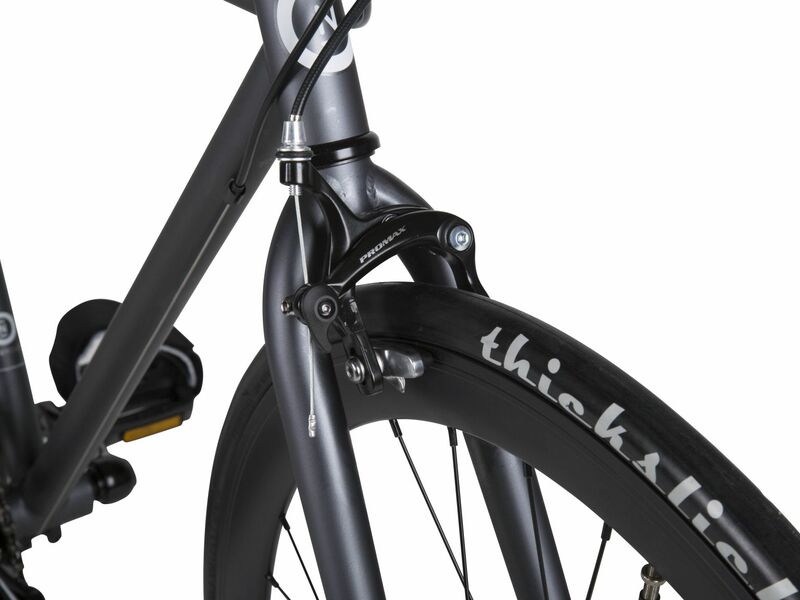 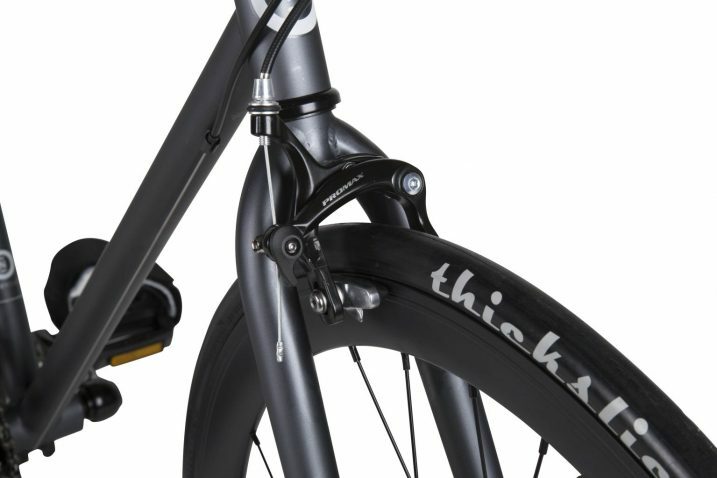 The 40mm track style rims and slick tyres gives you a faster ride. 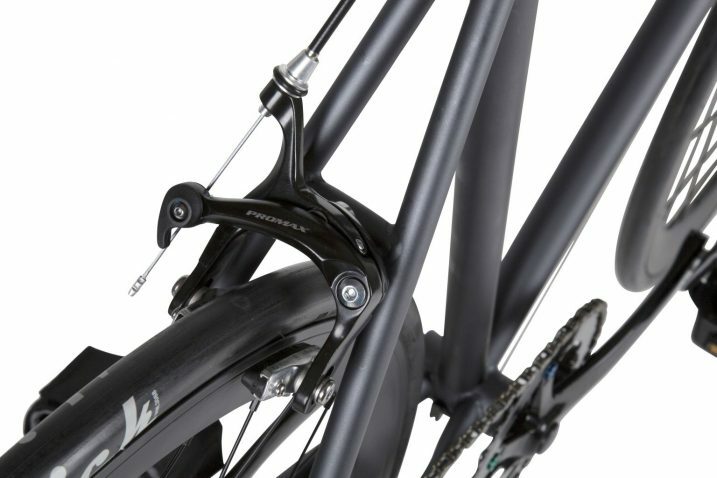 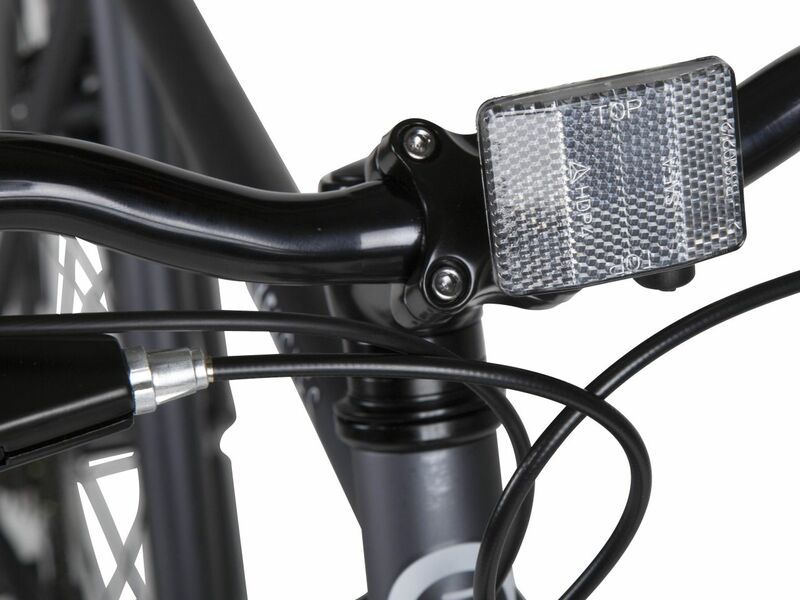 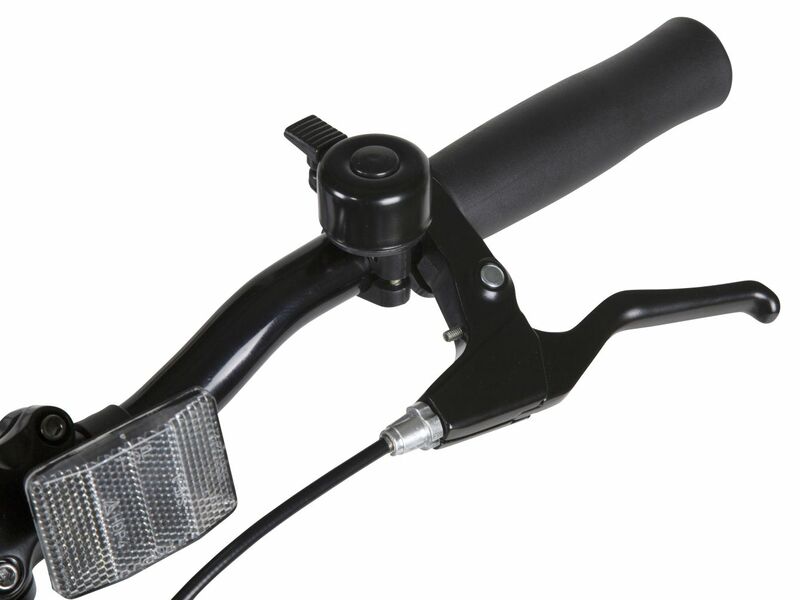 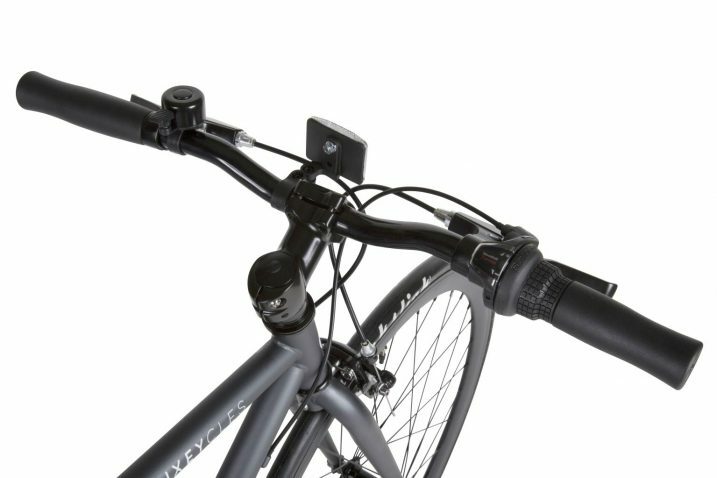 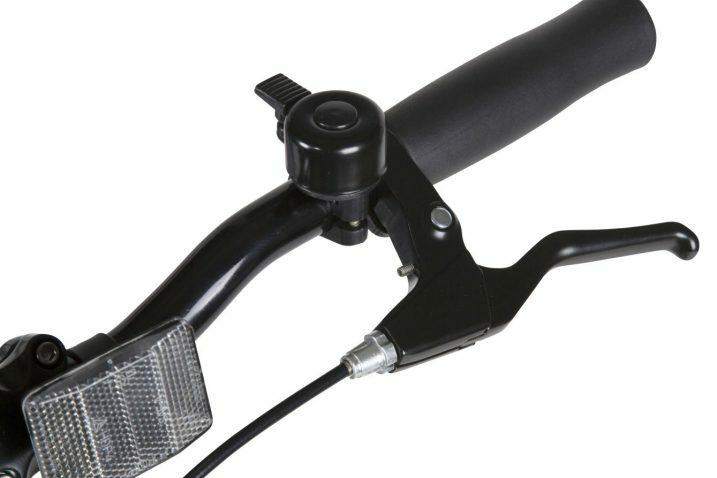 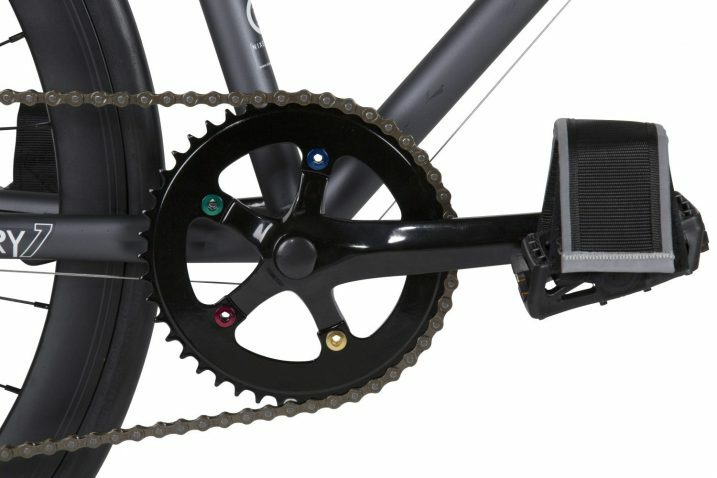 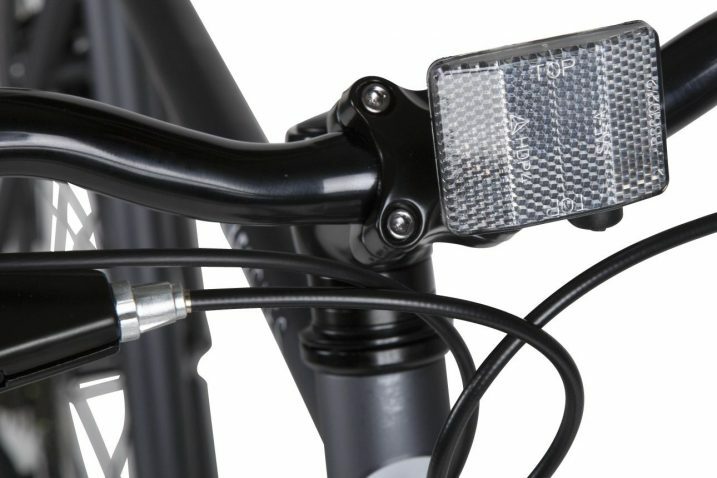 We reduced weight where possible fitting alloy components including handlebar, cranks, saddle stem, hubs, headset, brakes and rims. 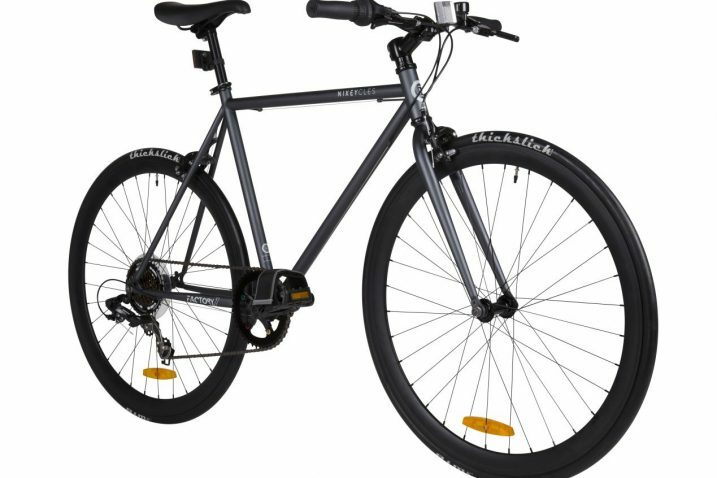 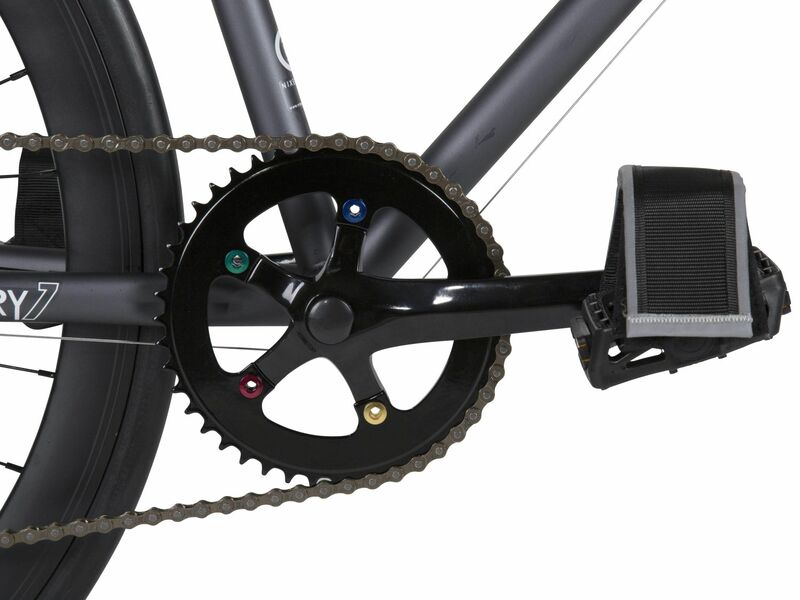 52cm frame (guideline;160cm-175cm rider height). 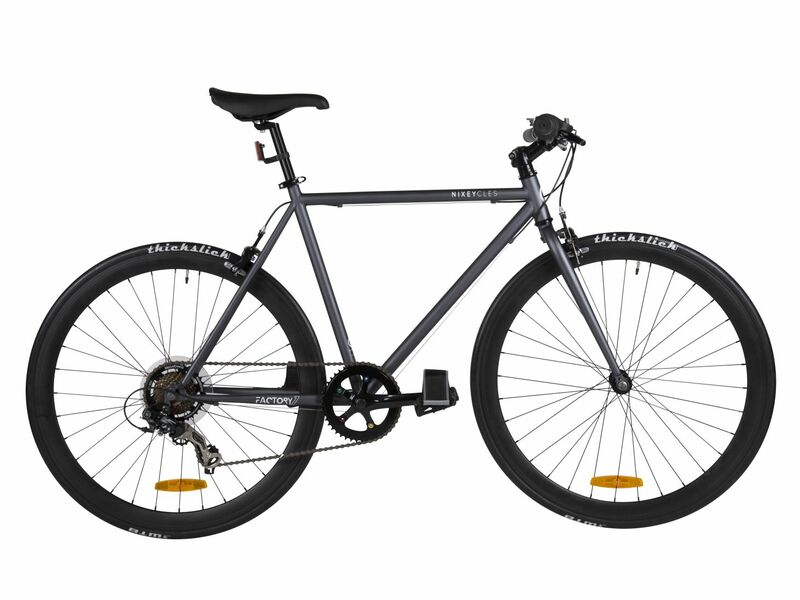 56cm frame (guideline; 175cm-190cm rider height.